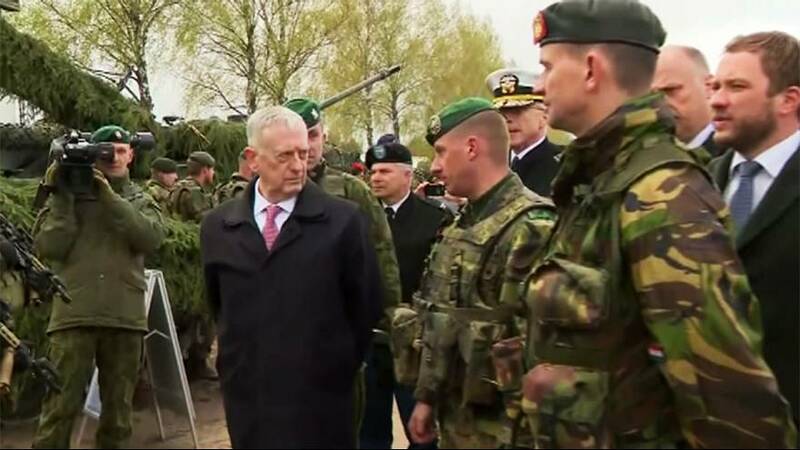 US Defense Secretary James Mattis’ first official visit to Eastern Europe smacks somewhat of the cold war-era. The US are considering deploying a missile battery system in the region ahead of NATO exercises this summer. Mattis has called Russian missile deployment in the Baltic region ‘destabilising’ and U.S. allies are jittery about Russian and Belarussian war games scheduled for September. They could involve up to 100,000 troops and include nuclear weapons training. The drills could see Russian troops near the borders of Poland, Lithuania, Latvia and Estonia. In what could be seen as an indirect message to the Kremlin, Mattis met with Lithuanian President Dalia Grybauskaite, who is openly critical of Vladimir Putin. Russia has also deployed missiles in Kaliningrad, its enclave on the Baltic Sea. It said the deployment was part of routine drills, but U.S. officials worry that it may represent a permanent upgrade. “I believe that you who have withstood oppression can most keenly savor freedom and have never taken it for granted or looked away when it is threatened,” announced Mattis. American Patriot ground-to-air batteries are mobile devices designed to intercept tactical ballistic missiles, cruise missiles and planes. Mattis refused to say whether Lithuania had demanded that they be deployed permanently. It seems that Donald Trump no longer plans to withdraw from NATO or to reduce their role in the Atlantic alliance. Tensions have been on the rise since Moscow installed Iskander nuclear-capable-missiles in Kaliningrad last year. The move troubled the enclave’s NATO-member neighbours.